Throughout the Civil War, Wales was staunchly Royalist and provided a dependable recruiting ground for the King's armies as well as facilitating easy recruitment of Irish troops. Such was its importance, that the King appointed Prince Rupert of the Rhine as its President and tasked him with optimising the support the Principality gave to the Royalist war machine. This, along with the region’s relative remoteness from the pro-Parliamentary heartlands in the South-East and East of England, meant Wales avoided any significant incursions during the early phases of the war. However, in January 1644 Scotland invaded northern England on the side of Parliament. By May 1644 the Royalists had suffered significant setbacks and required reinforcement. Prince Rupert left Wales and marched north with his army but he was decisively defeated at the Battle of Marston Moor on 2 July 1644. The departure and defeat of Prince Rupert had left the Royalist forces in Wales depleted and this was exacerbated when he attempted to recruit a new field army drawing more men out of the Principality. This weakness was exploited by the local Parliamentarians who saw an opportunity to loosen Royalist control of Wales. On 22 June 1644, the regional commander of Parliamentary forces - William Feilding, Earl of Denbigh - launched an attack on Oswestry and successfully captured the town. He left a garrison led by Colonel Thomas Mytton but this soon came under pressure from Royalist forces under Sir Fulke Huncke, commander of the Shrewsbury garrison. However, attempts to recover Oswestry were thwarted when a Parliamentary force led by Sir Thomas Myddelton routed part of the Royalist army. 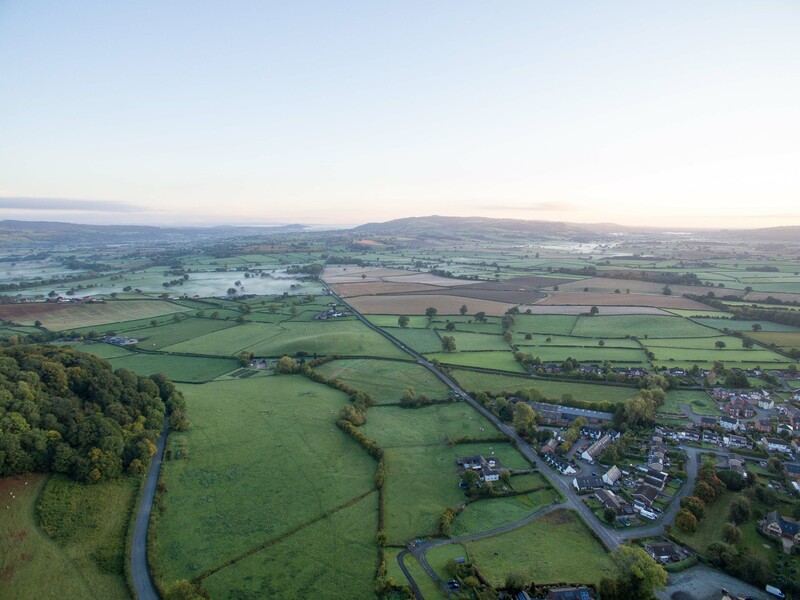 The fall of Oswestry and the defeat at Marston Moor prompted a series of Parliamentary offensives across the Welsh Marches aimed at extending their control towards the Severn Valley. A major raid was launched on Welshpool on the 4 August 1644 and, later the same month, a company of Prince Rupert's cavalry were attacked and routed. These successes prompted the Parliamentarians to get bolder and, on 3 September 1644, a force commanded by Myddelton and Mytton attacked Newtown deep within Powys. Again they were successful and captured a large quantity of supplies bound for the Royalist garrison at Chester. The Parliamentarians then targeted Montgomery, a small town centrally located in the Marches of Wales which commanded the Severn Valley and important overland routes which connected Shrewsbury, Chester and Hereford with western Wales. Although the town itself was relatively small, it was dominated by Montgomery Castle which Parliament sought to capture and use as a secure base from which to control the region. The Parliamentarian assault on the castle consisted of 300 cavalry under Sir Thomas Myddelton and 500 infantry under Colonel Thomas Mytton. This 800 strong force was relatively small and, under normal circumstances, would have been quite unable to seize Montgomery Castle had it been defended. However, the fortification was under the command of Lord Herbert of Chirbury who was 61 years old and in ill-health. Furthermore, he was largely apathetic to the Civil War and was more interested in the arts and his own works. He had previously refused Prince Rupert's attempts to install a garrison within the castle. As the Parliamentarians approached, he had no wish for a confrontation and simply sought to secure the safety of his library. 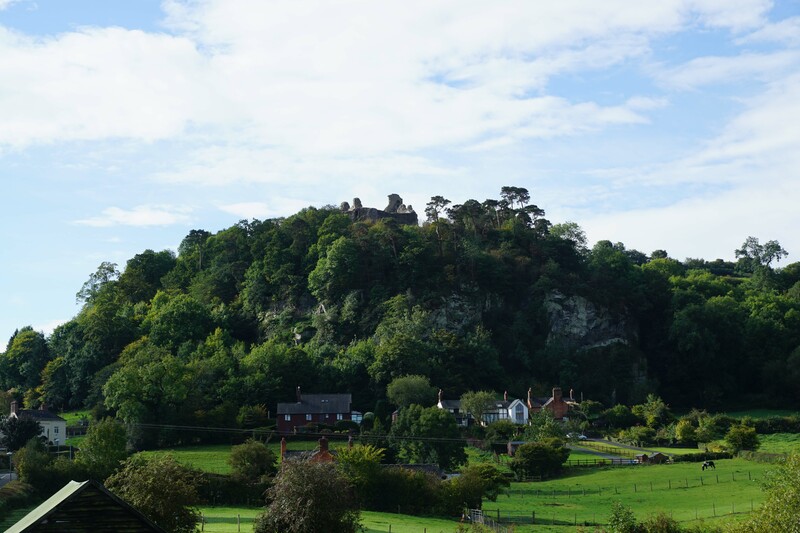 On 5 September 1644 he surrendered the castle which was duly occupied by Mytton's men. However, for the Royalist high command this was an intolerable situation as it significantly fettered their movements throughout central Wales. A large Royalist army was mustered at Shrewsbury under Major-General Sir Michael Erneley and, by the 8 September 1644, this force was approaching Montgomery. Skirmishes were fought with the Parliamentary troops, who were dispersed on foraging activities, but the Royalist overwhelmed them. Myddelton led his cavalry out of Montgomery in order to enlist more support whilst the Mytton's infantry retreated into the castle. The Royalists placed the fortress under close siege and their force was soon augmented by the arrival of Lord John Byron from Chester and Sir Michael Woodhouse from Ludlow. The Parliamentary force was hastily mustered from a variety of sources. The bulk of troops were drawn from the command of Sir John Meldrum who was busy besieging Liverpool. Sir William Fairfax, cousin of General Sir Thomas Fairfax, brought troops from Yorkshire and Sir William Brereton detached infantry from his forces in Cheshire. Mytton, with a garrison of 500 troops, remained in Montgomery Castle. Meldrum was placed in overall command of the Parliamentary force. His deputy was Sir Thomas Myddelton, a local Parliamentarian whose family seat was at Chirk Castle (although he had been driven out of his home the previous year by Royalist forces). The Royalists had the larger force but not significantly so given they had to leave a portion of their army manning the siege works around Montgomery Castle. The army was under the command of Lord John Byron who had taken over after Prince Rupert marched south to join the Royalist army in Cornwall. He was supported by Sir Michael Erneley.. The battle was fought on 18 September 1644. 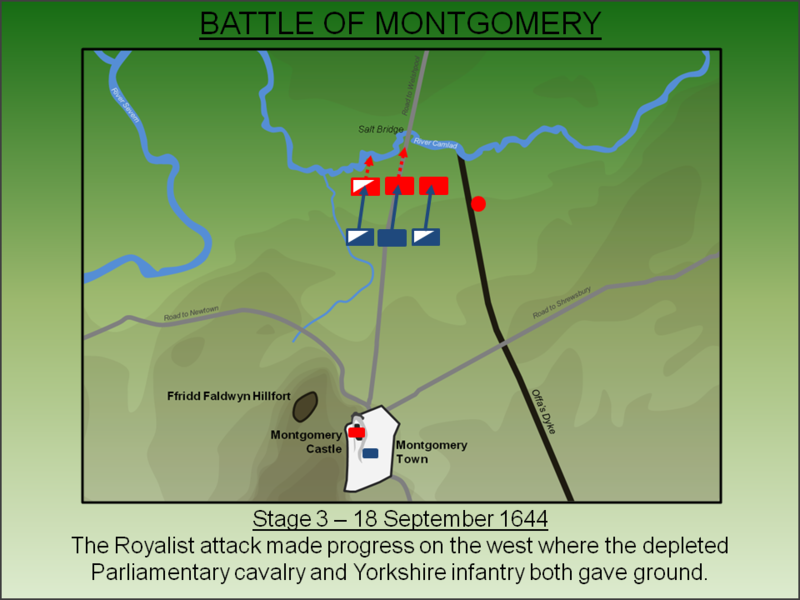 Parliamentary troops approached Montgomery on 17 September 1644. 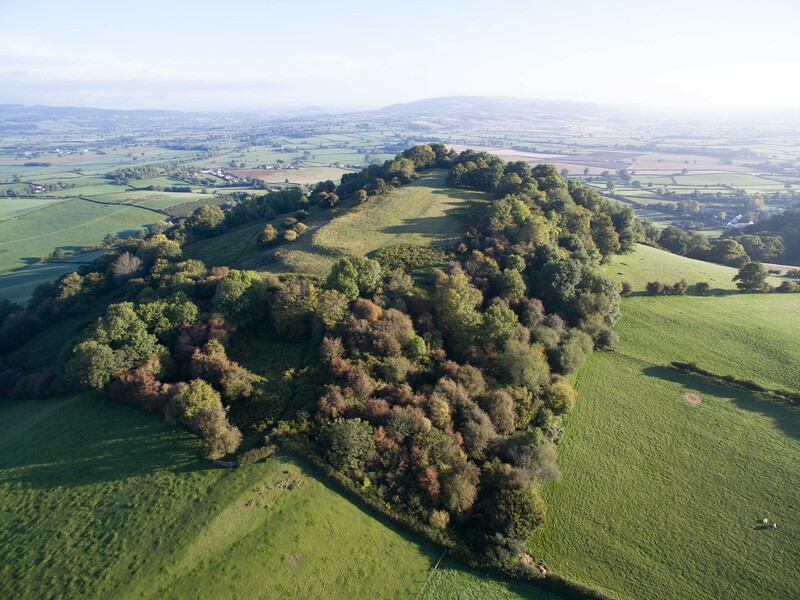 As they advanced, the Royalists withdrew most of their forces from the siege works and deployed within the earthworks of the Iron Age Ffridd Faldwyn hillfort, overlooking the medieval castle and wider area. This was an impregnable position and accordingly the Parliamentarians halted their approach and instead deployed some two miles from Montgomery straddling the road to Welshpool. Their position was flanked between a small brook and the earthworks of Offa's Dyke, whilst to their rear was the River Camladd and Salt bridge. It is likely dragoons were deployed to occupy Offa's Dyke. Meldrum's intent was that if he was defeated, his forces could retreat across the bridge and prevent a rout. No further action took place that day..
On the morning of 18 September, it appeared to Meldrum as if the stalemate would continue as both sides seemed content with their defensive positions. Accordingly a large portion of the Parliamentary cavalry, perhaps as much as one-third of the force, was detached and ordered to forage for supplies. Byron now spotted an opportunity - if the Parliamentary force could be broken and Salt bridge captured, then Meldrum's force would be surrounded and captured in its entirety. Seizing this opportunity, Byron led his men down from the hillfort and deployed in battle array to engage the Parliamentarians. The Royalist cavalry, under Sir Marcus Trevor, attacked their depleted Parliamentary opponents and pushed them back. Concurrently the infantry attacked and initially made good progress on their left where the Yorkshire troops started to retreat. In the fierce fighting Sir William Fairfax was killed and an opening to Salt bridge was almost achieved. As it became clear that the Royalists were moving to attack, Myddelton had frantically started recalling his dispersed cavalry. Just as the Parliamentary right flank started to crumble, he had mustered sufficient forces to mount an attack. He charged into the Royalist cavalry sending them into rout. 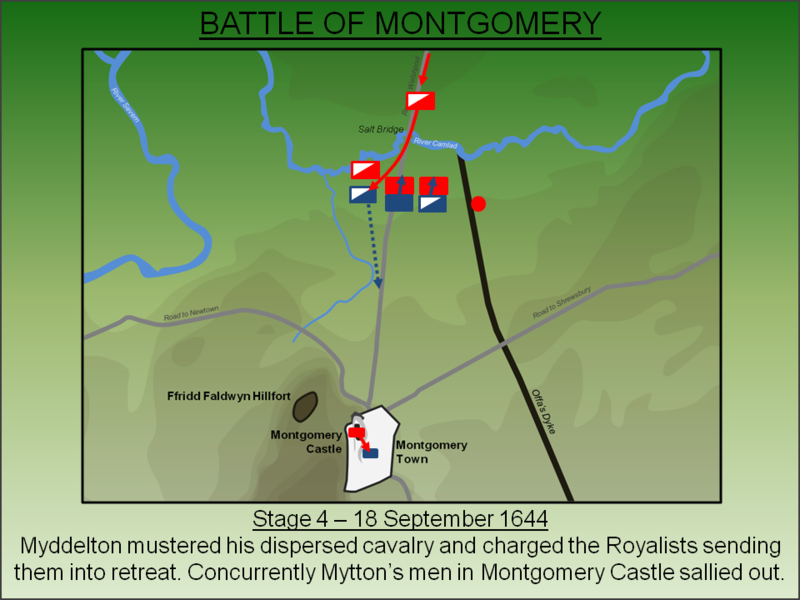 Concurrently, Mytton's men sallied out of Montgomery Castle, overwhelmed the troops left manning the siege works, and threatened the Royalist rear. In the infantry battle, the Parliamentarians had successfully rallied their men and held the line. Buoyed by the attack coming from the castle, at least one Regiment - the Cheshire foot under Major-General James Lothian - broke through the Royalist infantry lines. With their own cavalry in retreat and their infantry line penetrated, the Royalists broke into rout. The battle had lasted just one hour and around 500 Royalists had been killed in the fighting and 1,500 taken prisoner. The Parliamentarians suffered around 100 casualties including Sir William Fairfax. Montgomery was a major strategic victory for Parliament. 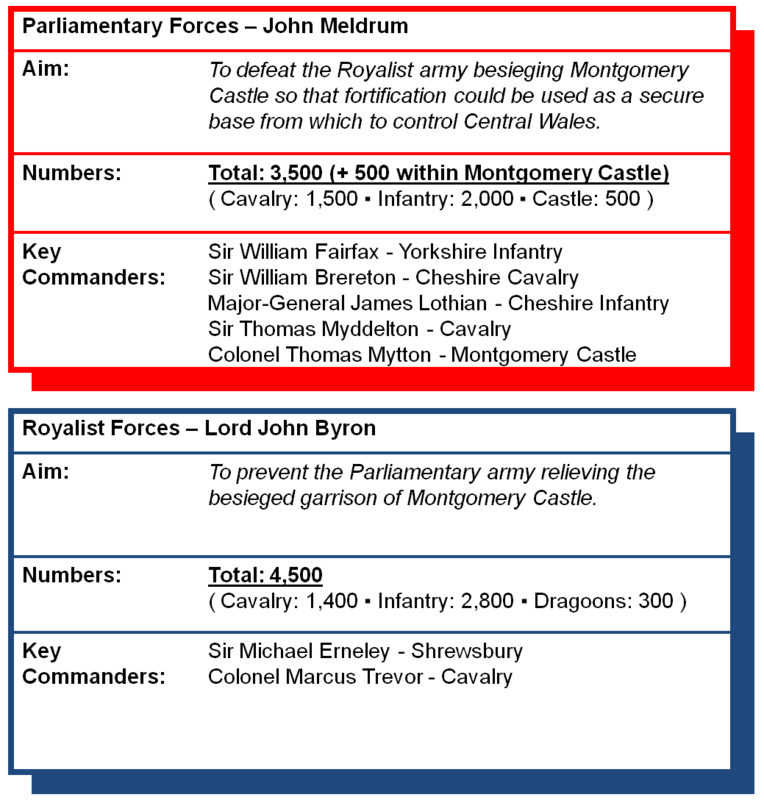 Not only had a significant Royalist field army been eliminated, but Parliament also secured control of Montgomery Castle, a key nodal point. From there they were able to severely hamper Royalist movement throughout Wales and, just two weeks after the battle, a successful assault was made on Powis Castle; this action shifted Royalist garrisons across Wales onto the defensive and thus unable to contribute to the wider war effort. However, perhaps the most significant outcome from the battle was the damage to Royalist credibility. After the defeat recruitment into the King’s armies slowed significantly frustrating attempts to raise a new force to replace the one lost at Marston Moor. Arguably this directly translated into the Royalist army at Naseby being smaller than it might otherwise have been contributing to the decisive defeat of the King’s cause. Barratt, J (2000). Cavaliers: the Royalist army at war 1642-46. Stroud. Gaunt, P (1987). The Cromwellian Gazetteer. Gaunt, P (1991). A Nation Under Siege, the Civil War in Wales 1642-48. HMSO, London. Hutton, R (1999). The Royalist War Effort 1642-46. London. Lancaster, J.H.D (2013). Montgomery: Battlefield visit notes and observations. CastlesFortsBattles.co.uk. Ordnance Survey (2015). Montgomery. 1:1250. Southampton. Phillips, J.R (1874). Memoirs of the the Civil War in Wales and the Marches. London. The battlefield remains largely undeveloped but modern drainage has changed the nature of the terrain significantly. 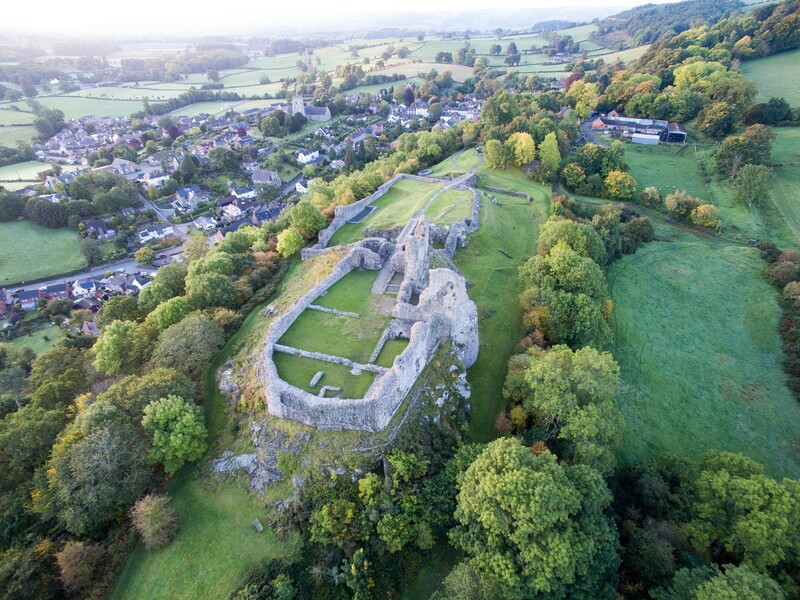 The visitor should start at Montgomery Castle which, although in ruins, is still an impressive fortress and offers a clear view of the battlefield. Nearby a visit to Ffridd Faldwyn hillfort, where the Royalists deployed in advance of the battle, is also extremely worthwhile. 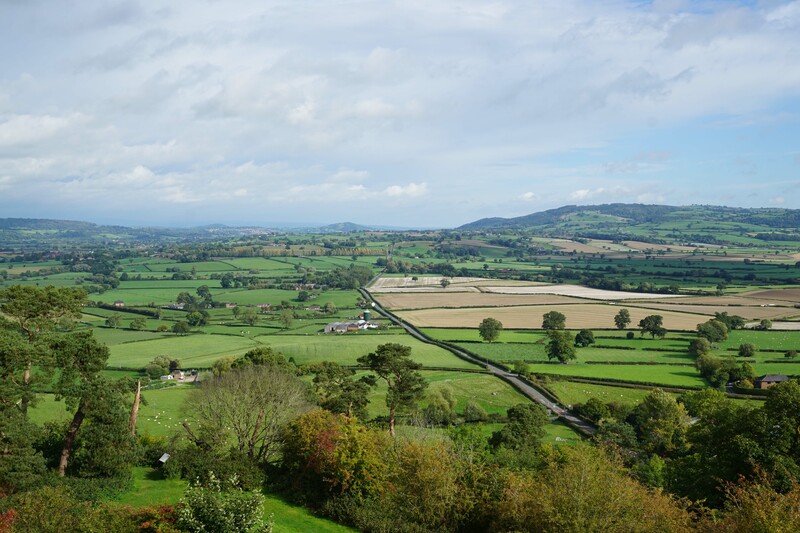 The wider battlefield can be explored by a circular walk along the B4386, Offa's Dyke footpath and the B4388. Care must be taken on the B roads though as there are no pavements and the verges are narrow. Montgomery Castle. The castle was built by Henry III in the thirteenth century. Although it was in a poor state of repair by the outbreak of the Civil War, its cliff-top position high above the town meant it was a formidable fortress. The seizure of the castle by Myddelton and Mytton prompted the Royalists to send a large army to dislodge them. Ffridd Faldwyn. Montgomery Castle was overlooked by higher ground - the Iron Age hillfort of Ffridd Faldwyn. 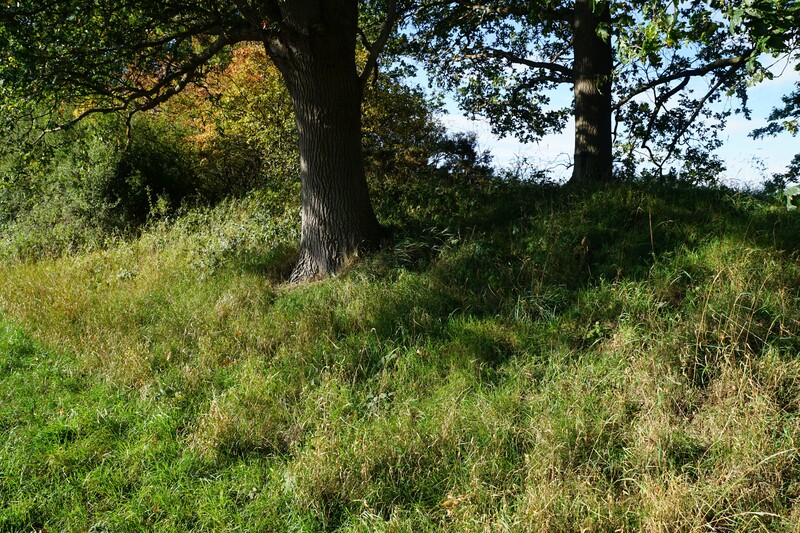 This was occupied by Royalist forces who established an artillery battery there during the siege of Montgomery Castle. Byron also mustered his army here prior to the battle itself due to its strong defensive position. Battlefield. Two views of the battlefield from Montgomery. 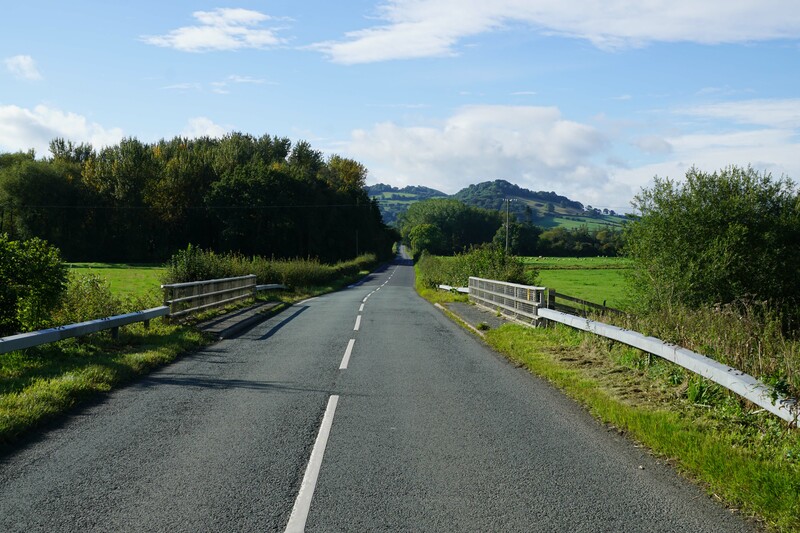 The long straight road was the route to Welshpool. The Parliamentarians deployed near Salt bridge, just beyond the brown fields adjacent to the road. River Camlad. 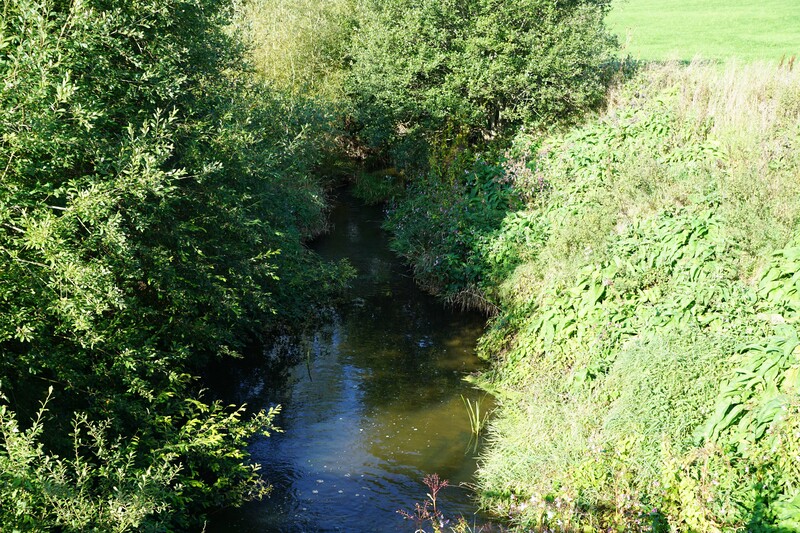 Modern drainage has reduced the size of the River Camlad but its steep banks betray the fact this was once a significant obstacle. Salt Bridge. The modern bridge is on the site of an earlier structure. The Royalist battle-plan was to smash through the Parliamentary lines and secure control of the bridge trapping Meldrum and his army. Battlefield. Much of the fighting took place in the fields between the B4388 and Offa's Dyke. Today these fields have been drained and are occupied by livestock. Offa's Dyke. This fortification/boundary marker was built between AD 757 and AD 796 by Offa, King of Mercia. During the battle it was occupied by Parliamentary dragoons. Montgomery Town Walls. 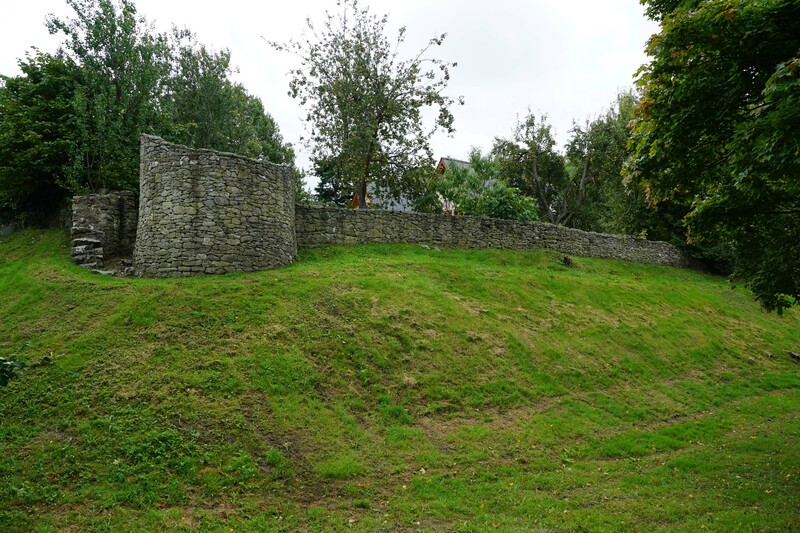 The medieval town walls presented no obstacle to either the Parliamentarians nor the Royalists. Today only a small fraction of walls survive. Montgomery is found to the south of Welshpool and is well sign-posted from all directions. There are numerous car parking options in the town but the best place to start is from Montgomery Castle which is found on an unnamed road accessed off Arthur Street. There is a dedicated car park. Ffridd Faldwyn Hillfort is accessed from a public right of way further west along the same road. 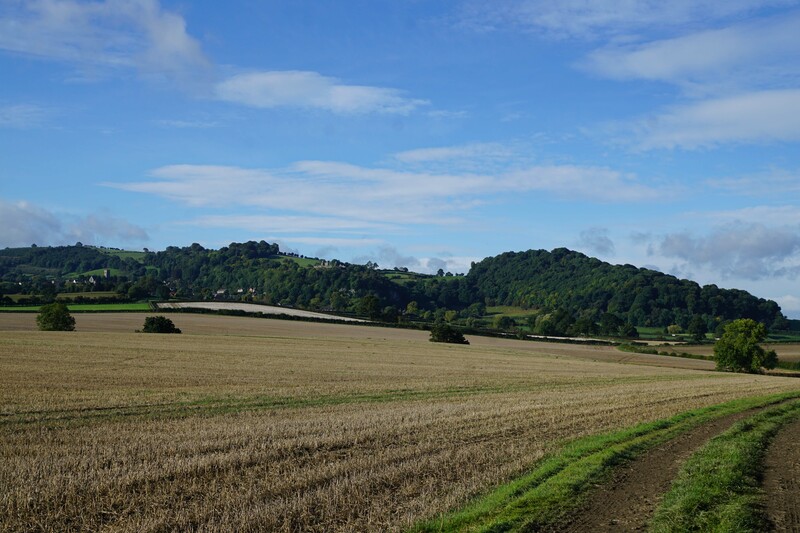 For the battlefield walk (which can only be done on foot) head east along the B4386 until it intersects with the Offa's Dyke footpath and follow that until it converges with the B4388. Thereafter follow that road back to Montgomery.